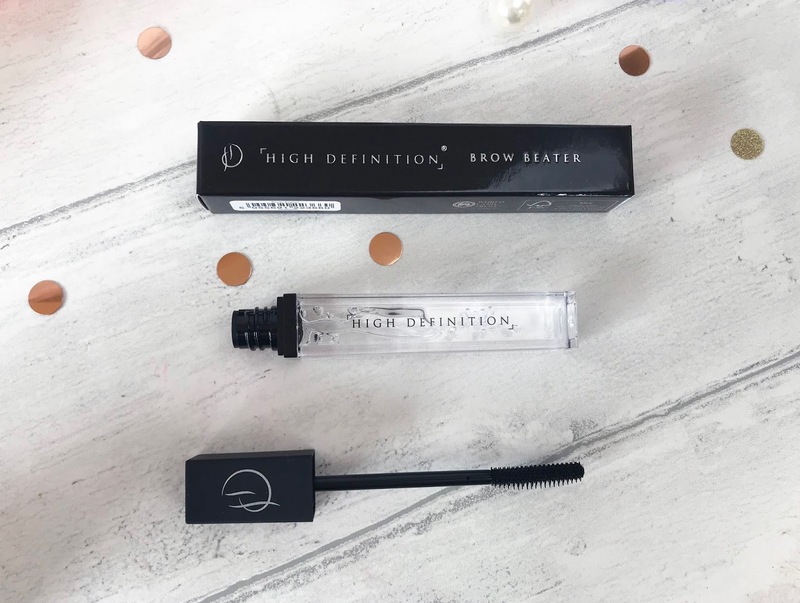 Naturally, I have the thinnest, lightest, most non-existent eyebrows you could ever not wish for, so when Queens of the Brow World, HD Beauty offered to send me some products to try out, I was super excited. HD Brows were the first eyebrow products I ever bought, I remember it now, I had a little palette with four brow colours in and a little brow brush to apply them with. 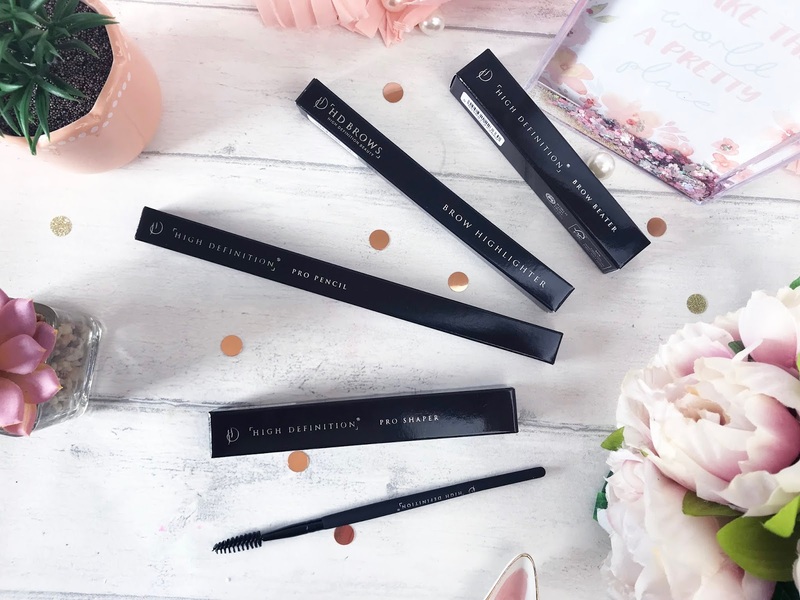 Following their huge success, they have since released a whole host of beauty products, and have upped their brow game even more. For my current brow routine, I take the HD Brows Spoolie Brush (£10), to comb my brow hairs into place, and if you have a bushier brow, then this is definitely the tool you need. This spoolie isn’t harsh on the skin like some spoolie brushes can be, and you can also use it once you have applied the products to blend any powders or creams to give your brows a more soft and natural finish. 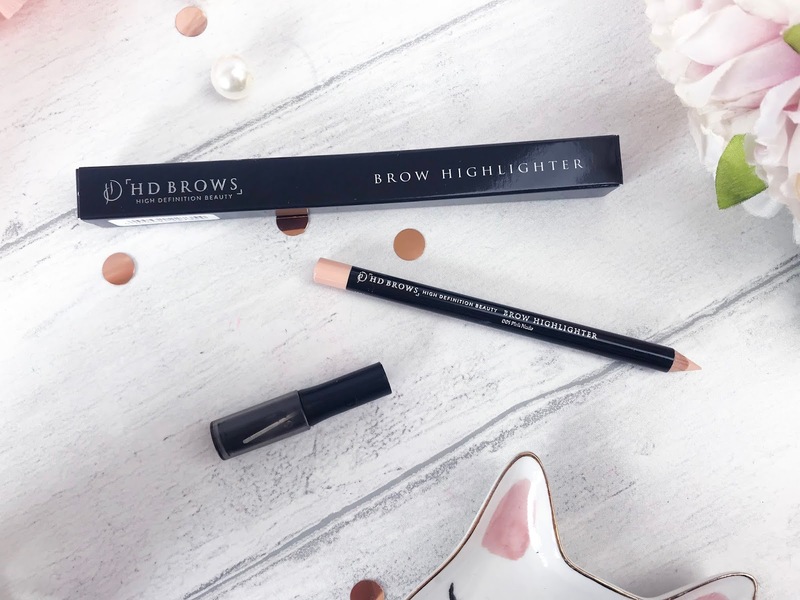 When I opened up the HD Brows Pro Pencil (£18), I was a little surprised as it was black, so much so that I went on the HD website to see what other colours were available and there were none. So I read through the description which cleared things up for me - black is the only shade available because the way this pencil works is that the shade is universal and suitable for all hair shades and skin tones. This one of a kind Brow Pencil has the most precise finish of all of HD Brows’ pencils and mimics hairs that aren’t there, to give you the most realistic hair strokes. I did find it a little tricky to use at first, but there is a How To video on HD’s website. The pencil has a little string around the top, and you pull down on the string to reveal the product and apply more or less pressure to release as much colour and density as suits your hair and skin tone. To keep your Pro Pencil in tip top condition, there is also a HD Brows Pro Shaper (£7) available which has been specifically designed to sharpen the Pro Pencil. It has a very sharp, angled blade which allows you to sharpen the Pro Pencil to the perfect tip so you can carry on creating those natural looking hair lines. The Pro Pencil arrives with a flat top tip and so to sharpen it to give a hair-like finish, you simply shave the lead on both sides until you have your desired thickness. The two go hand in hand, so you will need to buy both together to begin with, but then you obviously have the Pro Shaper for life. I was a little scared of using the Pro Shaper as I am super clumsy - I was always the kid with plasters on her knees growing up - but I found it really easy to use and it comes with a plastic lid to keep the blade protected. Once I have created my perfect brow, I then apply the HD Brows Brow Beater (£15), a brush-on, lightweight and non-sticky setting gel, which comes in a lipgloss-type tube. 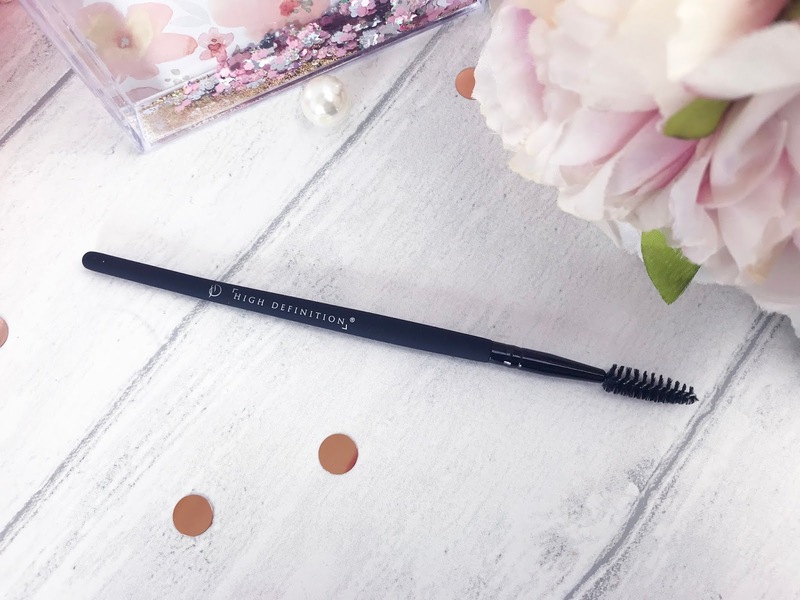 The brush has tiny plastic bristles which tame the brow hairs as well as keeping them conditioned throughout the day - I have also been using this on an evening before bedtime to nourish the brows and encourage them to grow more. When used regularly, the Brow Beater can actually train the brow hairs to grow and stay in the correct position over time, meaning less hassle and effort early in a morning - gotta love that! I am ALL about highlighter, and so I was excited to see the HD Brows Brow Highlighter (£16.50) in the collection. One of the things I love most about this particularly pencil highlighter is that it has quite a fine tip - a lot of other brow highlighters tend to be quite chubby, which is no good for me as I have hooded lids and thin brows and there isn’t all that much room between the two. 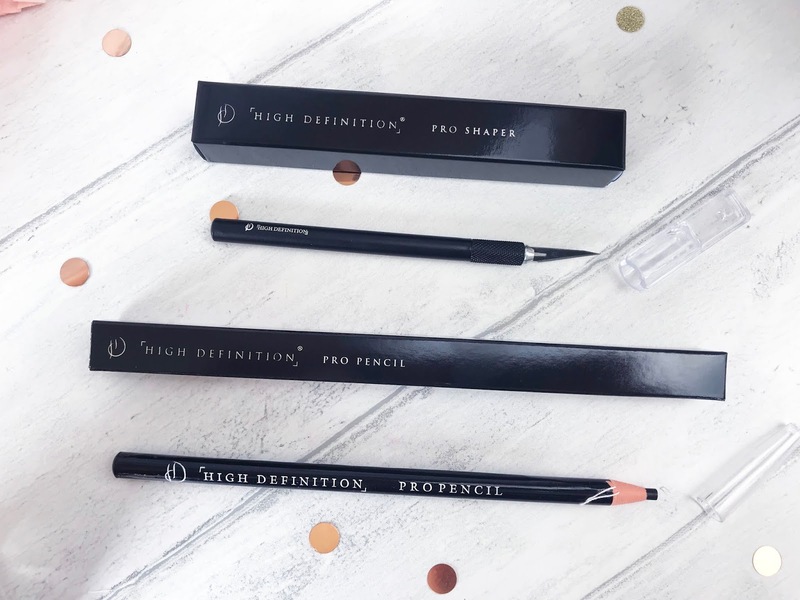 This pencil has such a creamy formula it glides onto the skin like silk, so theres no tugging or pulling on that gentle eye area and it helps to lift, define and enhance the brows. As with the Pro Pencil, this is a universal shade to suit all skin tones and can also be used in the waterline to give you a more awake look - you know how much I love a multi-use product! HD have even included a pencil sharpener which is attached to the lid of the pencil so that you can keep the pencil sharp and on point. The gorgeous HD Brows collection is available online here.